Most gardeners know how to grow tomatoes. But few extra secrets will never hurt. Choose a sunny and airy location. Plant the tomatoes in locations where they will receive a minimum of 10 hours light / day. Leave enough space between plants so that air can circulate freely. Rotate the tomato crops. Even if you do not rotate the crop as required, at least try to avoid to grow tomatoes in the same soil as the last year. In this way you’ll reduce the risk of disease. Avoid too high seedling. When buying seedlings, especially if they are bare-root, avoid too germinated plants because they don’t have sufficiently developed roots compared to its leaf mass, it will take weeks to recover. Therefore, choose medium-sized plants with a healthy appearance. Plant the seedlings deep. Plant the seedlings in the ground close to the first two big leaves. Water in abundance, from time to time. Once a week or every five days, in mid-summer, water the tomatoes in abundance. Water must touch the ground directly, not the leaves. Water in the early morning. If you can’t, water in the evening after the weather cools. Remove the greedy bines. Remove the greedy bines which have flowers and fruits. Thus, the sap will direct to your tomatoes, which will be bigger and more beautiful. Staggered harvest. Three weeks after planting the seedlings, plant a new batch. You’ll have a staggered harvest and you’ll enjoy fresh tomatoes every day. Ripe, not overripe. 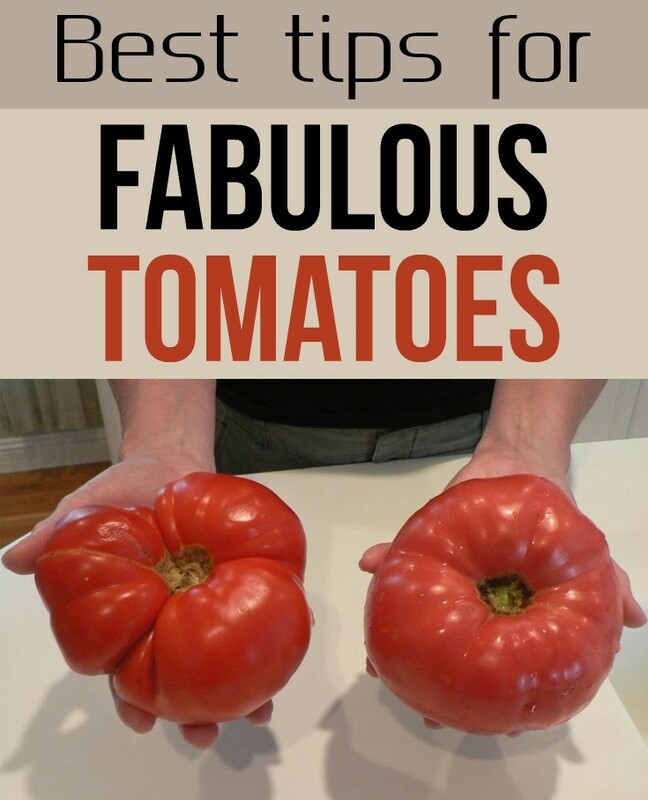 Pick tomatoes when they reach optimal size and are well colored. Ripe tomatoes pulp acquires on some varieties (eg “ox heart”) a chalky appearance.